At Dr. Tracy Brodie and Associates we use cutting-edge digital imaging technology to assess your eyes. Many eye diseases, if detected at an early stage, can be treated successfully without total loss of vision. 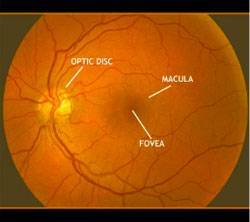 Your retinal Images will be stored electronically. This gives the eye doctor a permanent record of the condition and state of your retina. Dr. Tracy Brodie and Associates in Burlington, ON cares about your family’s eye health. From comprehensive eye exams to eye emergencies, we are here to help. Call our optometrists office today (905) 333-3086. Also serving the Grimsby, Oakville, and Hamilton areas with your family eye care needs.